So many recipes and restaurants used shaved truffle as the finishing touch on a dish – this is a rather expensive use of truffle. The best way to use your valuable truffle is to infuse it with other ingredients that can absorb the aroma and subtleties, that would otherwise be lost by a ‘shave’. As not everyone has fancy equipment that speeds of the infusion process we will be using the traditional method. This process could take anything from hours to months, so let’s get started. To infuse liquids you first have to select your flavouring agents, which for the purpose of this article will always include truffle as the main agent, but you may add other complimentary flavours such as thyme or black garlic. 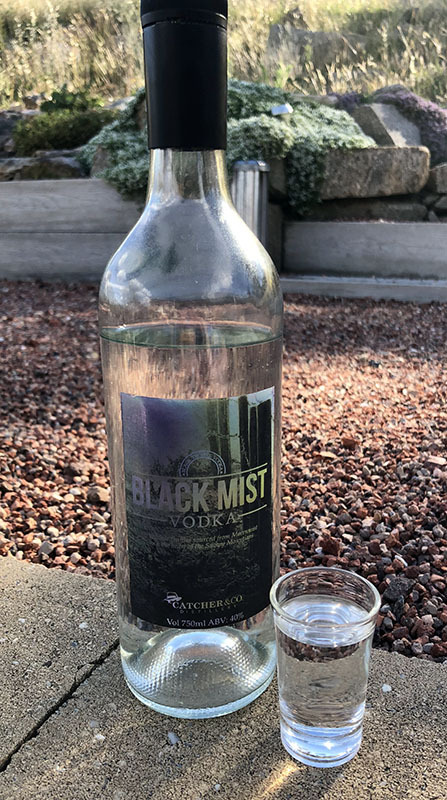 Using the traditional method, make sure that the liquid you wish to infuse is either room temperature or around 20 degrees C. Using a glass container place the truffle mix inside and then pour over the liquid. Most traditional infusion takes a minimum of 3 days but the mixture can be left longer if a stronger flavour is required. Quantities for infusion vary according to individual taste but as a general rule you use 10–45 grams of flavouring for every 250mls of liquid. The amount depends on your desired infusion strength. A popular liquid to infuse is alcohol as you can use it in a variety of ways from sauces to speciality cocktails. And for those who do not drink alcohol it can be used as a flavour enhancer as the alcohol evaporates during the cooking process. Alcohol will also preserve the truffle during the infusion process. Why not try to infuse your own vodka or liqueur. If you don’t want to try alcohol, water will also infuse with truffle. It is also important to remember that the larger the surface area of your truffle the quicker the infusion process. 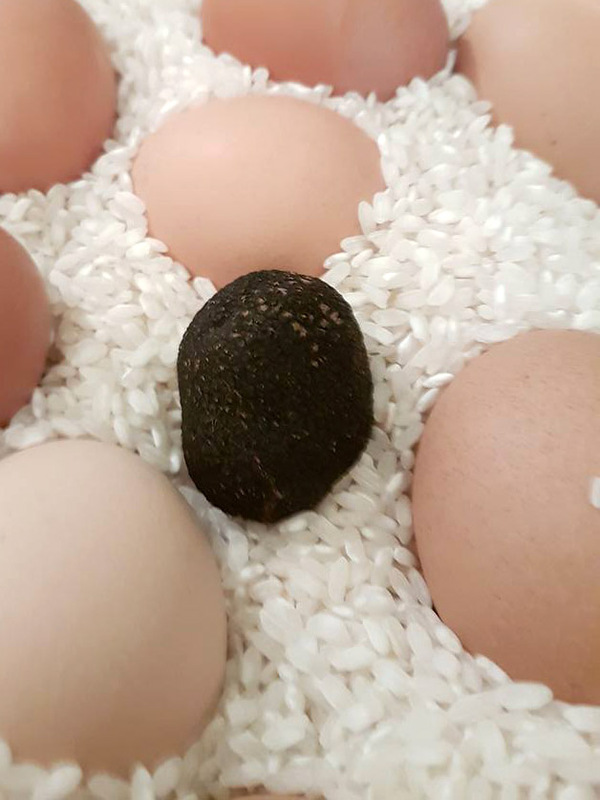 Another very simple method of extracting the truffle flavour and aroma is the infusion of fresh raw eggs as the egg-shell is porous and allows for absorption. These eggs will impart the taste of truffle and can be utilised in numerous recipe. It’s easy to do. Use a glass jar (not plastic!) with a neck wide enough for you to place a number of raw eggs gently into it, then place the piece of truffle on the top, seal the jar, and leave it in the refrigerator for a minimum of 3 days. You now have truffled eggs which can be used whole, or if you only want to use the yolk the whites can be frozen and used at a later date. Think of the possibilities: cakes, breakfast, pavlova… anything you can use an egg for… let us know what you come up with! What else can I infuse with Truffle? The possibilities are limitless! Butter, cream – pretty much anything dairy, Aarborio rice for risotto, salt (for your popcorn! ), honey, oil… have a go! Just avoid anything too acidic, it overpowers the truffle flavours. Check back here regularly for new and tasty ideas on how to make the best use your Macenmist Truffles.